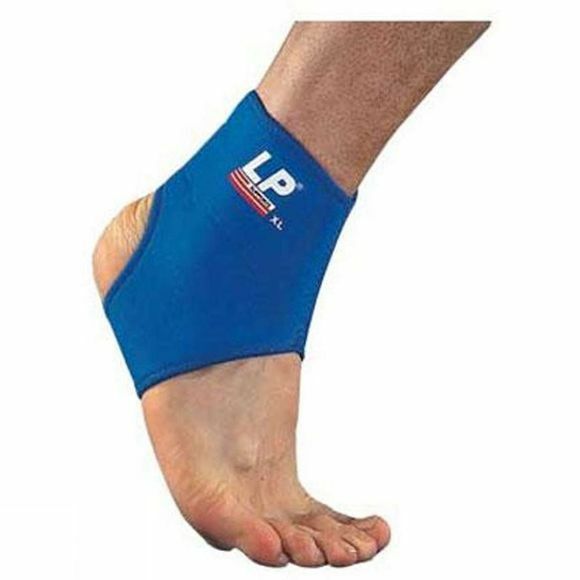 The LP Supports Ankle Support provides support and compression to weak ankle joint and helps to reduce swelling or stiffness after injury. Open heel design for the comfort and easy application. Fits comfortably in any type of athletic or street shoe. Provides support and compression to weak ankle joint. Helps reduce swelling or prevent stiffness after injury.